It's time to brighten up our Monday with the European Nintendo Download Update, and this week's line-up is full of fantastic titles. We have a double-helping of Platinum Games action on Wii U, some Disney magic on 3DS, some classic retro games across both systems, a new 3DS HOME theme and more besides. Enough preamble, let's get on with it. 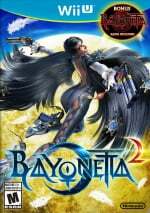 Bayonetta 2 (Nintendo, €49.99 / £39.99, or €29.99 / £24.99 if Bayonetta is downloaded on the same Wii U) — The Platinum Games Wii U exclusive finally arrives, continuing Bayonetta's story and delivering its own brand of tight action gameplay, over-the-top set pieces and some of the system's best visuals. 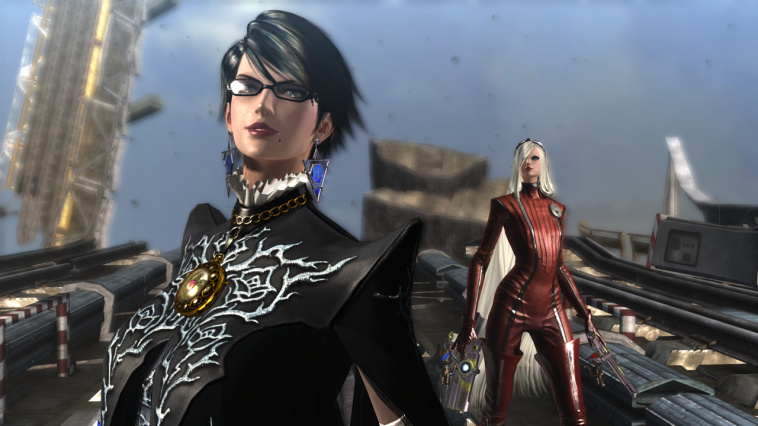 This is, simply, a fantastic action game, as explained in our Bayonetta 2 review. Available from 24th October. Bayonetta (Nintendo, €29.99 / £24.99, or €9.99 / £9.99 if Bayonetta 2 is downloaded on the same Wii U) — This port of the original title serves up an excellent version of the cult classic, throwing in some Nintendo-themed outfits and touch-based GamePad controls as extras. It sets the template for the sequel and establishes the entertaining lore and cast, so is definitely worth picking up; you can read more about it in our Bayonetta review. Available from 24th October. 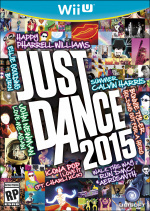 Just Dance 2015 (Ubisoft, Price TBC) — It's more contemporary pop dancing from Ubisoft, with another 40 tracks to jump into; this is for those of you that own snazzy dancing shoes. My Style Studio: Hair Salon (Cypronia, €4.99 / £4.49) — As the title makes clear, this title could be one for budding hairdressers / stylists that are also handy with a stylus. We've previously been unimpressed with the 3DS equivalent, but we'll get the straighteners out again for this one. Donkey Kong Country 2: Diddy's Kong Quest (Nintendo, €7.99 / £5.49) — The second home console DK entry from Rare, this one puts you in charge of Diddy Kong as you seek to rescue the captured DK; it provides more of the attractive visuals and gameplay that made the first title so hugely popular. We'll swing into a new review, but you can go really retro and check out our succinct Wii Virtual Console Donkey Kong Country 2: Diddy's Kong Quest review. 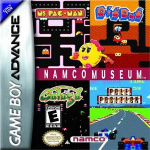 Namco Museum — A release that, in its own peculiar way, points to an alternative way to price Virtual Console games, this Game Boy Advance title delivers 5 retro arcade games with their original visuals — Ms. Pac-Man, Galaxian, Galaga, Pole Position and Dig Dug — and some fun customisation options. My Style Studio: Hair Salon (Cypronia, €4.99 / £4.49) — This portable version actually arrived in North America late last year, and likely lays the groundwork for its Wii U twin. We felt it lacked any style however, awarding it just 3/10 in our My Style Studio: Hair Salon review. Donkey Kong Land 2 (Nintendo, €3.99 / £3.59) — This has the same storyline as the second Donkey Kong Country title arriving on Wii U this week, but (like its predecessor) provided all new levels in its Game Boy guise. We'll jump into a review right away. Legend of the River King 2 (Natsume, €4.99 / £4.49) — This entertaining blend of RPG and fishing returns, once again full of character and bright Game Boy Color visuals. It's a surprisingly deep adventure with plenty to do, and you can read all about it in our Legend of the River King 2 review. Disney Magical World (Nintendo, €39.99 / £34.99) — It's taken a while, but this slice of the famous Disney world now arrives in Europe, in which you can interact with and help a host of the company's famous characters while setting off on an adventure with your avatar. We were rather charmed and impressed by this in our Disney Magical World review. Available from 24th October. Power Rangers Super Megaforce (Bandai Namco, €34.99 / £24.99) — In theory this should be fun for the show's fans, an action game that also scans QR codes from some of the franchises' toys. Our fingers are crossed, though the last game for the brand was rather poor; will this go go a lot better? Lots of options this week, European gamers. Let us know what you plan to download in the poll and comments below. Well that is not too bad for bayonetta 1 and 2 for €60. I was expecting the 2 to download for €75 together. But I can get the Special edition for arround the same price. Downloading DKC2, and also getting Bayonetta 2 in physical form. Got the 1+2 bundle for £31, so almost 25% less than what Nintendo want for just the solo game! "Animal Crossing: New Leaf Jack, the Czar of Halloween (Nintendo, €1.49 / £1.39)"
Apparently this is a theme for the 3DS too. I wonder when the regular Animal Crossing themes will come. Those themes should be free with surveys for purchased games or something. Can't believe they're charging so much for what's basically a wallpaper, a bit of music and sfx. I'll probably get Bayonetta 1 & 2 - before the NNP program ends. I might find myself buying some other things just to knock to total above the 500 point threshold. Diddy's Kong Quest is soooooooo good Can't wait to play it again! I won't be downloading anything this week, because I will be getting Bayonetta 1+2 on disc. I'm getting Bayonetta 2 First Print Edition, so i can't buy it on eShop. For anyone in the UK interested in buying the games digitally, the cheapest way that I know of right now is to buy B2 from the game.co.uk website. They currently have download codes for £32.99 (the same price they're charging for the disc version). Knowing how eshop purchases have worked in the past this should still activate the Bayonetta discount. On the second thought, I'll try to scour/sweep my local stores this weekend for the first print edition since Amazon and GameStop are already sold out. If I can't find any, I'd go for the download. @Ventilator me to first print edition, got an email from game saying there taking money today for it. Yeah still no GBA Castlevanias. And EU don't even get Halloween-related releases or discounts. Off topic but, Symphony of the Night is rated for PC! It was reported by IGN last week. @BensonUii Haha omg xD that gif, so good, like my reactions aswell. Lol, still no "free" theme huh? Only Nintendo to charge so much for something. Bay 1 and 2 on disc. DKC 1 on WiiU and DKL 1 ON 3DS. Bay will have to wait as I am obsessed with The Evil Within right now. Freaking love it. Like re4, but with better graphics, which isn't important I know, lol. I highly reccomend Color Zen if you enjoy simple puzzle games, that one's a blast and that's a great price. Where'd you find it at such a price? I got the double pack for £40. Which is more than fair, but cheaper is always nicer. Got the First Print Edition of Bayo 2 pre-ordered! Will get DKC2 some other time. I've been up non-stop, waiting for someone to withdrwa the Bayonetta LE pre-order. And I'll keep going! I WANT DAT BOOK! @BensonUii Try to keep an eye on Amazon, anyway. Many people pre-ordered multiple boxes to sell them for double price on ebay via reservation, and around now they're probably gonna cancel all pre-orders they couldn't sell, meaning some boxes will likely be available for us. @IxC Amazon put it up for that price months ago and told everyone it came with Bayonetta 1. After the direct, they sent everyone a mail to say it was a mistake and they could cancel and re-order the special edition. I guess a lot of people made a fuss as a week later they upgraded then all to special editions. The Game Collection have it up for £38.95 at the moment. @BensonUii congratz! that GIF just won the interwebs! I got my Wii U system for cheap that way. I ordered when Amazon had a temp price, that ended up being about £50 less than the real price.. I can't be bothered to change my order to save £1.05. £40 is a fair price for both games I think. Still no Castlevania for us Europeans?? We want some of that Halloween magic over here as well, Nintendo!! Thanks for the tip, I'll do that! Looks like a good week overall. Lots of choices for everyone! Hopefully the NA version has as many options! Did Bayonetta 1 really have to be £25? I think £20 is more appealing here (you don't get a discount if your copy of 2 is a disc game, I can see solos bombing but if you want 1 that extra £5 might make you better off finding disc special edition). "This is the European version of the game, which was optimised originally by the developer to offer gameplay and music speed similar to the US version. Demos and animations may run at PAL speed. The aspect ratio has been corrected for this release." I think it is very important info. Yep DKC2 is the 50Hz version (the speed isn't the problem, the Wii U and Gamepad only putting at 60Hz is). This is despite the fact DKC1 was a surprise 60Hz release (and English only). I say surprise as the press release and eShop page unusually did not state either way. Yep, more 50Hz shenanigans from Nintendo. Criminal. Europe gets the DKC trilogy AND a DKC Tropical Freeze promotion, but everyone just complains about no Halloween releases (despite already having Demon's Crest and Gargoyle's Quest 2) and no Castlevania (despite already having Super IV, I, II, III and Dracula X). I'd much prefer DKC, especially with how bloated GBA games appear on my TV. I'm getting the Bayonetta digital copies and don't waste your breath telling me about physical's discounts, bonuses or 'cool factor'. Some people just prefer digital. I happen to be one of them. And for reference, Amazon, EB Games, Walmart, Future Shop, Best Buy and Toys R Us charge more tax and add shipping charges versus what Nintendo charges here in Canada. @BensonUii fantastic! Indeed, First Print Edition for me! Oh well, hopefully my favorite game of all time, DKC2, will eventually come to the Americas. In the meantime, I'm excited to get Bayonetta 2 on retail this week. I'm really hoping that Bayonetta 2 will sell well enough to garner a trilogy on the WiiU. I will do my part Also, if the US doesn't get DKC2 soon, I am going to give Reggie dirty looks over the Internet. Nobody wants that. We don't have Demons Crest yet. Also add Megaman 7 and X3 on the list. Is Namco going to pull a Street Fighter and later release the GBA "50th Anniversary Edition" Namco Museum with ONE more game (Rally-X, I think) than the first? Are these Donkey Kong Country's the 50 or 60hz versions ? Thanks for giving us another poopoopy 50Hz VC game, Nintendo. And thanks Nintendolife for not even mentioning it! @XyVoX The first one is 60Hz, the second (not even Nintendo knows why) not. If i cant own all three of them in 60hz im not even gonna bother, because they play like rubbish in 50hz. 2014 and this nonsense is still going on. @FritzFrapp Have you seen what Sony charges for avatars and wallpapers on PS3? I'm getting Bayo 1+2 from Amazon, so i voted DKC2... UNLESS what @scamander says is true! I refuse to buy slowed down PAL versions of classic games! This ISN'T the 90s anymore... SO GIVE US 60HZ! Yes, as I have two PS3s and a PSP. However, two wrongs do not make a right. I get why most people have the ump about 50/60 hertz thing. I almost lost my mind at the Animal Crossing DLC thing. It's a game that could really be destroyed by microtransactions as we all know... NLife, please clarify it's a theme in your post. @Starwolf_UK That is braindead if it is true about 50hz. How do you know ? @Nintenjoe64 They were problem is the Gamepad only supports 60hz so it involves repeating frames. (If the Gamepad supported both 50hz and 60hz it would have been fine). @Nintenjoe64 The 50Hz versions have been optimised to play exactly like the 60Hz versions. The problem is however, that the Wii U is not able to output them in 50Hz, but does so in 60Hz. This results into double frames with every fifth frame, which doesn't only look horrible, but also means that the game won't register buttons you pressed when the console is displaying a double frame in that exact moment. Donkey Kong Country 2 and Donkey Kong Land 2 for me. @Peach64 £31 wow where on earth? @Lord amazon UK; due to a faulty description of the Solus Edition, which promised the first game would be included. After the description was changed and many people complained amazon upgraded pre-orders to the Special Edition. @Peach64 Thank you so much for telling me this. I had ordered off amazon about 3 hours ago. You saved me €7.50. @scamander Thanks I've sure missed out, no wrongfully described pre order and missed the boat on the first print! Dang!? @BensonUii : hahaha! That actually had me laughing out loud! Well you know why Nintendo Europe is releasing DKC2 in 50hz....it's for the more 'cinematic experience' They've obviously been drinking some of Ubisoft's kool aid. @ToxieDogg wow that stuff gets passed around like a cold. 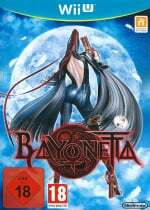 anybody know where I can find a highres copy of the bayonetta 1 cover art? I will be tempted on Conception 2 but I'm still wanting a 19.99 price. Were getting there 24.99 is downright tempting. You. Know at us has some nice sales. Nintendo Gamers ALERT! It is C-R-U-C-I-A-L to buy Bayonetta!!!! Nothing for me this week...Cause I preordered the First Print Edition of Bayonetta 2! Too bad, that they made only 15.3k copies of this fantastic fanservice. I'm sure it would has sold awesome if they had made like 100k copies and WORLDWIDE! The 15.3k sold in Europe like hot cakes!! But perhaps you American guys will get another surprise?!? Who knows! Get my fingers crossed for you! DKLand 2 + Legend of the River King 2 for me. @Scirm Yeah, I rather have the Atlus sales. How long does the buy 1 get 15 quid off last on bayonetta 1/2 last? Nintendolife missed Crazy Constructions European release today. 5 times higher price than in the usa, but with the actual discount only 2 times. Joindots freaking price policy!